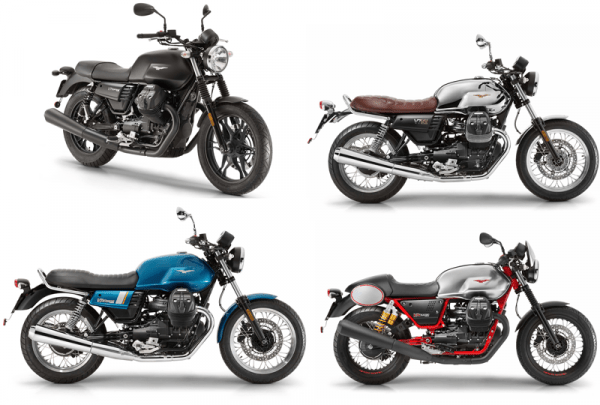 The successful Moto Guzzi V7 series are updated for MY 2017, and are the 3rd real update since the introduction of the “new” Guzzi V7 (the actual V7 is almost 50 years on the market). The V7 Mark III can be summarized as: more power, more technique, more differences between the models. While rest of the engine remains the same, the cylinders, pistons, heads and crankcase are new, next to a new crankshaft, oil sump and venting system. The horses are increase from 48 to 52hp at 6200rpm while the torque is the same and power curve flat like we like it. Just like the update to the Mark II, the frame is slightly updated. 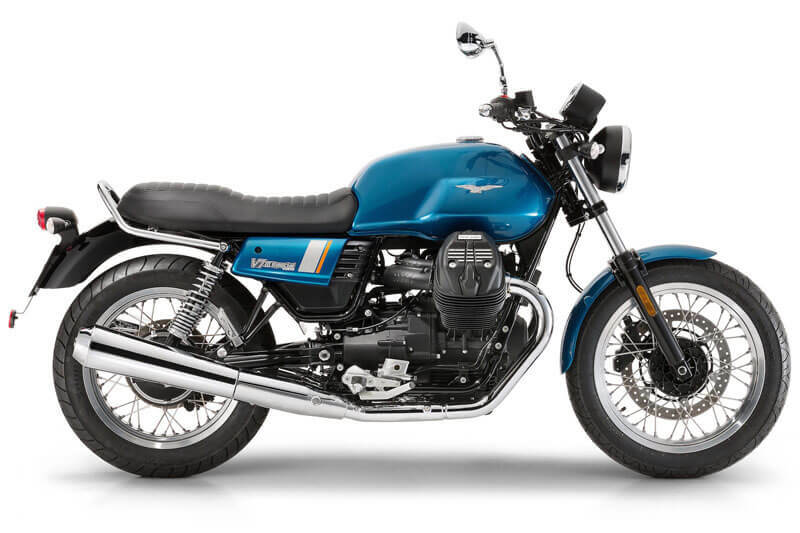 Moto Guzzi claims that the front is lightened and the 54% of the weight rests on the rear. 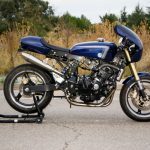 The seat and footpegs are lowered. They claim “more dynamic ride in corners, better handling and stability”. 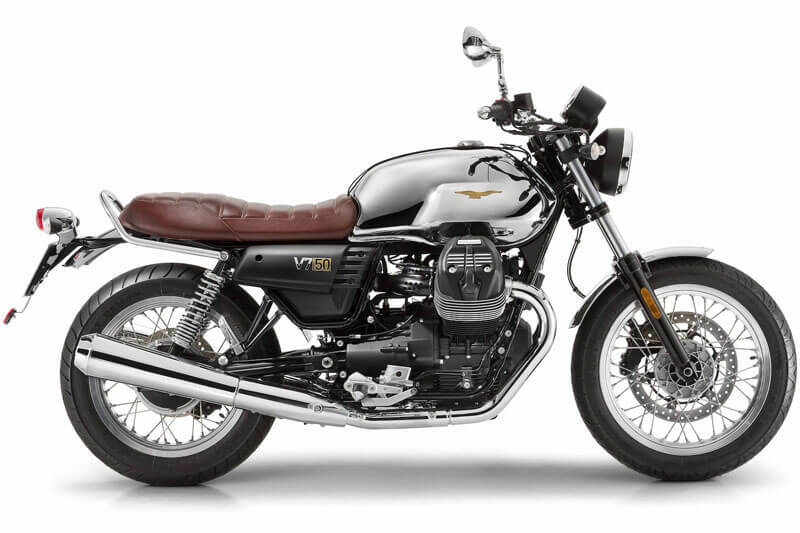 The V7 now has 2 channel ABS and a three option traction control (off, wet, power). 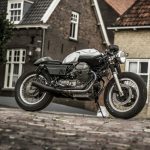 For the nerds you now can connect your smartphone to your V7, which turns it into a dashboard displaying 5 parameters at a time like speed, rpm, horsepower output, torque output, instant and average fuel consumption, average speed, battery voltage, longitudinal acceleration, and extended trip computer. 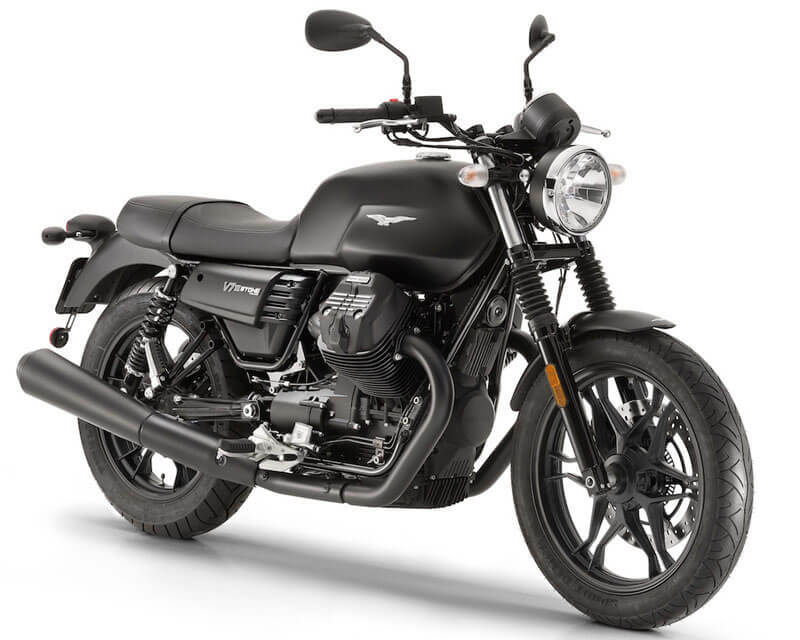 The Moto Guzzi V7 III Stone will be the “basic” one of the 4 V7’s. 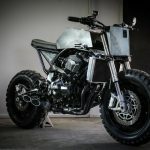 Lot’s of black and matte finish and no spoked wheels. 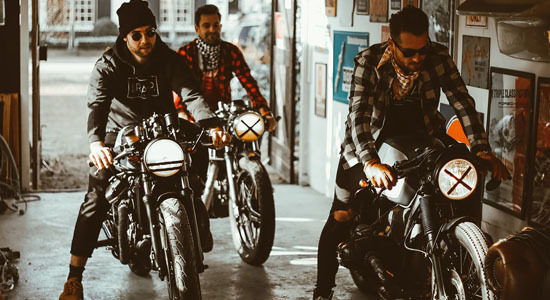 The Moto Guzzi V7 III Special is the real classic brother of the V7 series and is inspired by the 1975 Moto Guzzi V750 S3. The racing stripe motif and the blue tank sets the Special apart, as does the polished channels in the rims and black hubs. Lots of chrome and bright paint make the Special an eye-catcher. 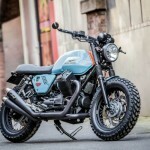 Biggest update on the Moto Guzzi V7 III racer are the Öhlins adjustable shocks at the rear and the removable passenger foot pegs. The stock exhausts are now matte black instead of polished steel. 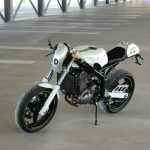 The V7 III Racer will be a numbered production. 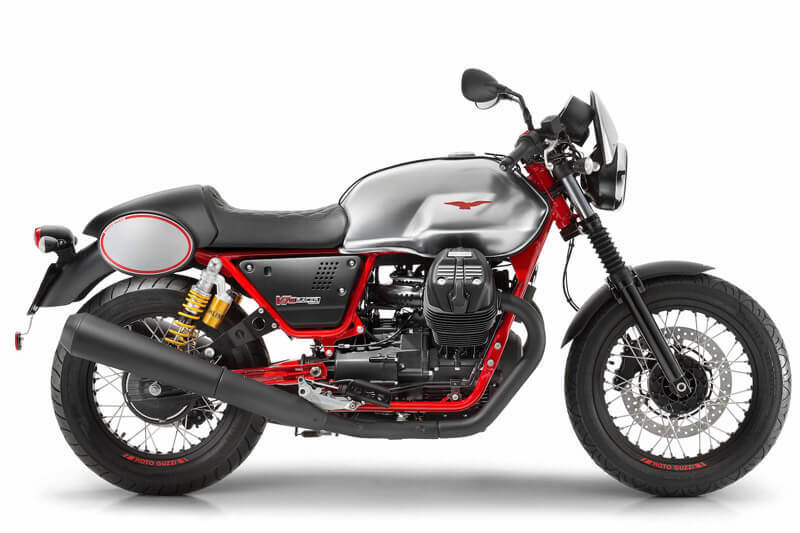 And as a tribute to the 95th anniversary, Moto Guzzi will introduce the “V7 III Anniversario” with a limited number of 750 machines. 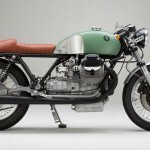 The Anniversario has a chrome gas tank (I still have one on my V7 Racer! 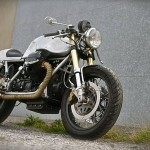 ), polished fenders, hand-made leather seat, special wheels and a lot of limited edition eye candy.